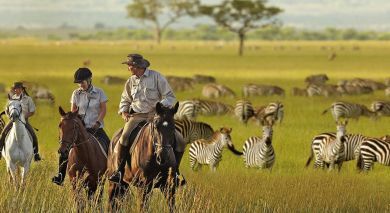 Explore wild, uncharted territory in southern Serengeti. Lake Eyasi, located in the immediate southwest of Ngorongoro Crater in the Crater Highlands area of Tanzania, is one of the several beautiful lakes in the East African Rift Valley. 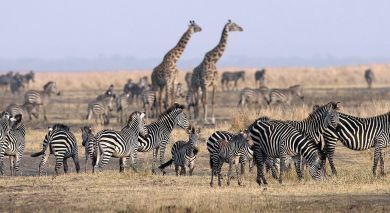 The mildly alkaline lake stretches for about 50 km to the southwest with the vast plains of the Serengeti in its north. Enjoy walks along the shores of the lake and spend afternoons exploring the area dotted with ancient Baobab trees. Go on a hunting expedition with a Hadza family – Africa’s last remaining hunter-gatherers, to see their astonishing ability to track and hunt small game! Kisima Ngeda is a small luxury tented camp set in a stunning position on the shore of Lake Eyasi at the base of the Rift Valley escarpment.